I'm starting to get calls for advice about the meat market in the fall. One of the traditional components of the onslaught from entry-level candidates is the targeting of Faculty Appointments Committees at schools of particular interest. I'm not fully clear on how useful this information really is (most letters addressed to "Appointments Chair" will get where they are supposed to go), but it certainly helps your advisors make calls to important people at the relevant school. In PB's long tradition of helping entry-level types on the market, I'm opening a thread for people to announce committee members and chairs. At Hastings, Leo Martinez is the chair this year. Let the information flow freely. UPDATE: If your school is searching for any particular areas of expertise, you might note it here too. Hey, it's free advertising. Trinity University seeks to provide conditions whereby members of the faculty may freely pursue scholarly inquiry, discussion, and publication. Academic freedom is essential to teaching, research and artistic creation. Freedom in research and artistic creation is fundamental to the advancement of knowledge and the arts. Freedom in teaching is fundamental to the pursuit and communication of knowledge. I am chairing the appointments committee at Washington & Lee this year. We have a number of openings and hope to hire at all levels of seniority, from entry-level to chaired professor. We are committed to faculty diversity and encourage applications from women and people of color. We are open to a wide range of curricular fields but have particular needs in first year courses, particularly criminal law and criminal procedure, evidence, constitutional law, taxation, corporations, environmental law and international and comparative law. We also will be hiring a clinical professor of law to assume the directorship of our Black Lung Clinic. Applications can be sent to Chair, Faculty Appointments Committee, Washington & Lee University School of Law, Lexington, VA 24450-2116. Steve Ware and Tom Stacy are co-chairs at Kansas. Marianne Culhane is Appointments Chair this year at Creighton. We're looking to fill two slots in four areas: Crim Pro., Con. Law, PR, and Trusts and Estates. At Boston College, George Brown will chair the Appointments Committee. BC would like to hire at least two people and will hunt in both the entry-level and lateral markets. Subject matters of special interest include Administrative Law, Antitrust, Conflicts, EU Law, Law & Economics and Mutual Funds/Hedge Funds. Tom Plank is the chair here at Tennessee. 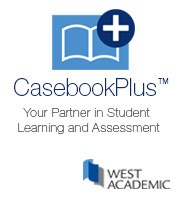 we're looking for at least two entry levels with torts, evidence, crim law, and corporations being areas of need. Lyn Entzeroth is the Chair at the University of Tulsa College of Law. We are looking to hire two tenure-track faculty: (i) a clinical faculty member who will have substantial flexibility in designing a new clinic; and (ii) a doctrinal faculty member to teach and write in the area of entrepreneurial law (broadly defined). We are likely to interview for the clinical faculty position before the AALS Faculty Recruitment Conference so interested candidates should send a cover letter and CV to Lyn. Chris Blair is our Director of Clinical Programs and he is able to answer any questions about our clincs. Duncan Alford is chair at Charlotte School of Law. We are looking for entry-level or laterals in a variety of courses including business associations, tax, evidence, constitutional law, administrative law, criminal procedure, family law, commercial law, trusts and estates, real property, real estate finance, and insurance law. I am chair at Widener University School of Law, Harrisburg Campus. I am chair at Indiana University School of Law--Indianapolis. Sean Scott ([email protected]) will chair the committee this year at Loyola-L.A.
Bill Hing is the chair of teh Appointments Committee at UC Davis. I’m the head of the laterals subcommittee at Brooklyn, and Roberta Karmel is the head of the full committee. We are interested in both entry-level and lateral candidates, and are committed to faculty diversity. Areas of particular interest are civil procedure and ad law; business law (including antitrust, commercial law, contracts, and securities law); constitutional law; family law; health law; information law (including telecommunications, internet, and privacy law); and intellectual property. Interest or experience in the international aspects of these fields is a plus. Applicants should feel free to send a letter of interest and a resume directly to either Roberta or me, but ONLY by snail mail. We will NOT read e-mail inquiries. We especially encourage applicants to state whether they have strong reasons to locate in New York City. The address is 250 Joralemon Street, Brooklyn, NY 11201. Susan Poser is chair at Nebraska. Robert Schapiro is chair at Emory. Sorry I'm so late to post. I'm chair at Cincinnati. We're flexible, looking for a "best athlete." The Chair of Faculty Appointments at Loyola Law School, Los Angeles is Sean Scott. We are looking for people to teach civil procedure, constitutional law and business associations. Bart Brown is the Chair at Chicago-Kent. The Chair of Faculty Recruitment at the University of Gerogia is Jim [email protected] We have particular interests in Property/Land Use, Bankruptcy and International Law. Susan Gary is the Chair at Oregon. Michael Blumm and I are co-chairs of Lewis & Clark's appointments committee. We are looking to fill one or two slots. Entry-level and experienced candidates are welcome. Particular interests include business law (defined broadly), civil procedure (also defined broadly), property transactions and land use, and torts. Ben Zipursky is chairing Appointments at Fordham. We will be looking at both lateral and entry levels. I am on the lateral subcommittee. I am the chair at Thomas Jefferson School of Law. The appointments chair at Indiana-Bloomington is Charlie Geyh. Alice Abreu is the Chair at Temple. We have a total of five openings. Four are for tenure track positions and one is a non-tenure track faculty position. One of the tenure track positions is for a teacher and scholar in international law; the other three are for teachers and scholars in a variety of areas, especially including professional responsibility and civil procedure but also including intellectual property (particularly patents), property, commercial law, bankruptcy, employment discrimination and possibly other areas yet to be determined. The non-tenure track position is for a clinical educator who will serve as director of our Center for Community Non-Profit Organizations, and carries the possibility of long-term contract employment. Temple has a strong tradition of accessibility and diversity and we encourage applications from women, minorities, and others whose personal characteristics will further our tradition. Please send us your resume. Contact: Professor Alice G. Abreu, Chair, Faculty Selection and Recruitment Committee, Temple University Beasley School of Law, 1719 North Broad Street, Philadelphia PA 19122. E-mail: [email protected] . Fax: 215-204-2008. Steve Gilles is chair at Quinnipiac. We have three slots open, each at any level of seniority: one in health law, one in ADR, and one in any area. I am the Chair at William & Mary. We have about six (6) positions available. Our focus this year will be on Health Law, Constitutional Law, and Patents, but we remain open to both entry level and lateral candidates with all areas of expertise. Ron Rychlak is the chair at the University of Mississippi. Sandy Caust-Ellenbogen is the chair at Ohio State. Tom Berg is chair at St. Thomas (Minnesota). Leslie Garfield is the chair at Pace. At Seton Hall the entry level appointments committee chair is Charles Sullivan. I am the entry-level appointments chair at Virginia this year. I am the lateral appointments chair at Hofstra, and the committee is particularly interested in applicants in the following curricular areas: commercial law (including international commercial law), criminal law and procedure, evidence, real property/real estate transactions, tax, civil procedure, intellectual property, and employment law. I am the Chair at the University of Illinois. I chair the Faculty Appointments Committee at Faulkner. We have 3 tenure track openings for 2007-08. Curricular needs are varied. John Conley is the chair at the University of North Carolina. I am chair at the University of Southern California. Michelle Oberman is this year's chair for Santa Clara. I am the hiring chair at Drexel University Law. The University of Alabama's chair is James Leonard. The chair at Temple is Alice Abreu. In addition to Ken Casebeer chairing our entry-level appointments committee, I'm chairing the University of Miami's laterals (and Chairs search) committee. While I cannot emphasize enough that we are absolutely open to the right candidate in any field, I am tentatively planning to look especially hard in health, international trade, tax, international arbitration, patent/trademark, and probably a couple of other areas the committee will soon determine. I would welcome hearing from colleagues -- at all levels of seniority from quite junior to quite senior -- with an interest in joining our lively faculty. The Chair at South Carolina is Elizabeth "Libba" Patterson. We will be attempting a number of entry level hires and hopefully some lateral hires as well. I am the Faculty Recruitment Chair at Drake, where we will be looking for a Property person, perhaps with interest/experience in either real estate or natural resources law. Also, we will be looking to fill a new Chair in Intellectual Property. I am the Appointments Chair at Boston University School of Law. Ed Stein is chairing the committee here at Cardozo. I'm chairing the Entry Level committee at Vanderbilt this fall. Todd Peterson is the appointments chair at GW this year. Martin Davies is the chair of the appointments committee at Tulane. We also have a separate committee chaired by Brooke Overby that is looking to fill an endowed chair in the commercial, corporate, or tax area. I'm chairing the committee here at Wisconsin. I am chair at Arizona State University. We are looking mainly for laterals in any specialization but also need to fill the position of "Director of Indian Law Clinic." At Wash. U. in St. Louis, Peter Wiedenbeck is chairing the entry level committee and I'm chairing the lateral committee. The Chair of the faculty recruitment committee at the University of Dayton is Dennis Greene. Our most pressing need is in the business organization area. We are also seeking a senior lateral in the area of Intellectual Property. I'm the entry-level chair at Penn. I am incoming chair at University of Pittsburgh. We would be particularly interested in laterals in the following curricular areas: commercial law (including contracts, bankruptcy, secured transactions, payment systems and consumer law), criminal law and procedure, evidence, real property law (including real estate and environmental law), and tort law (including products liability law).